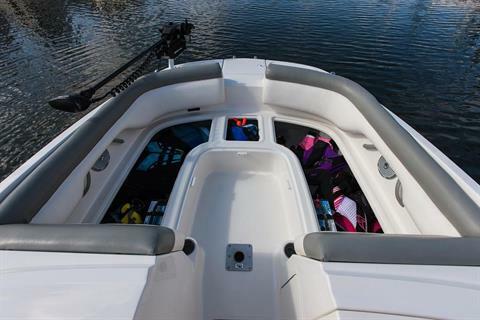 High style, meets high capacity. 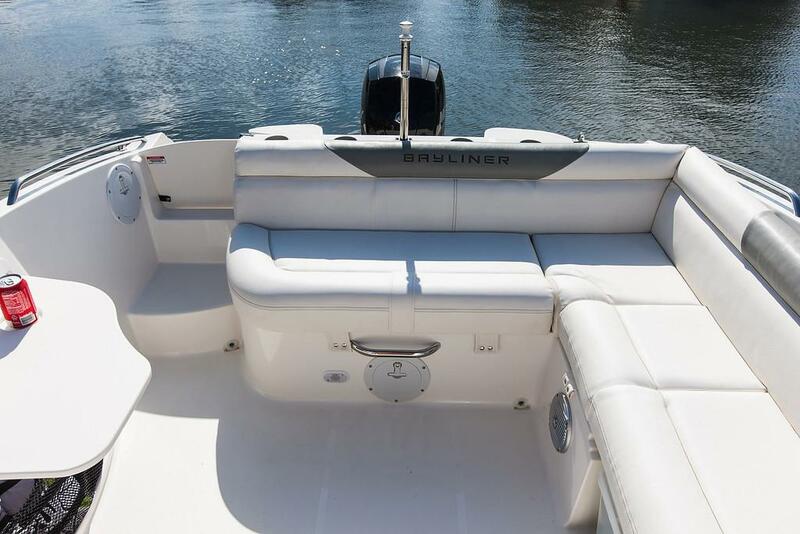 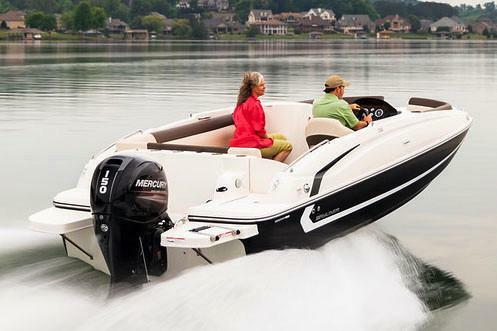 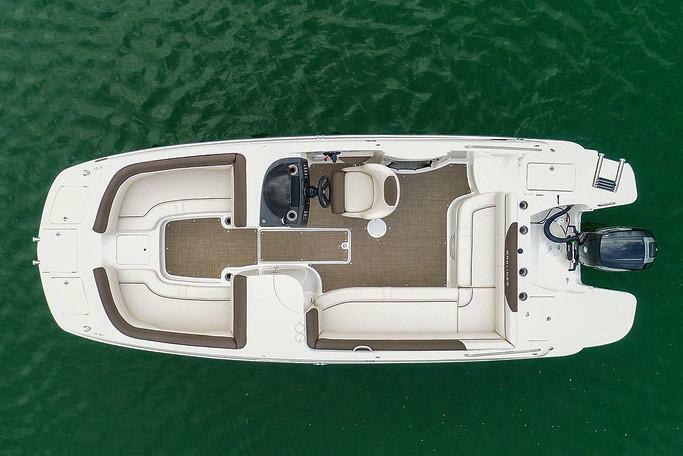 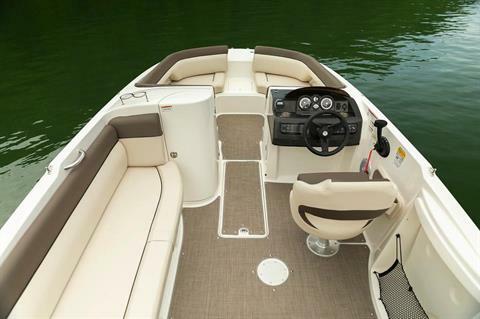 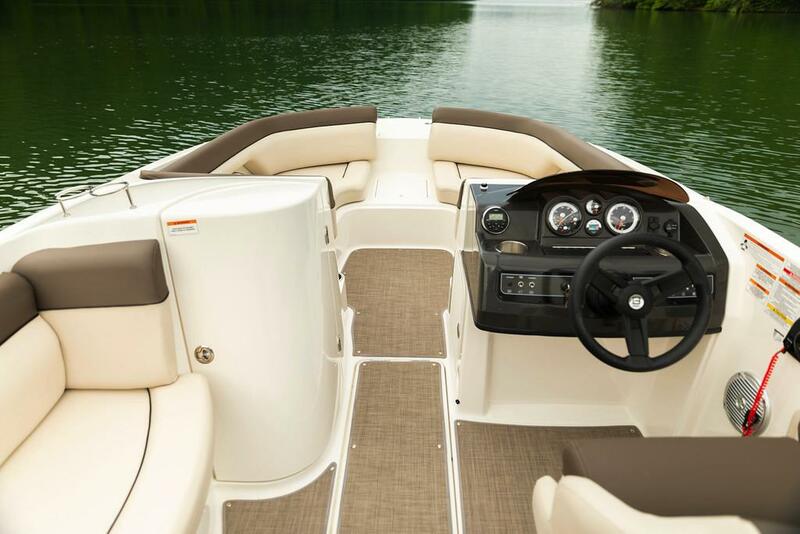 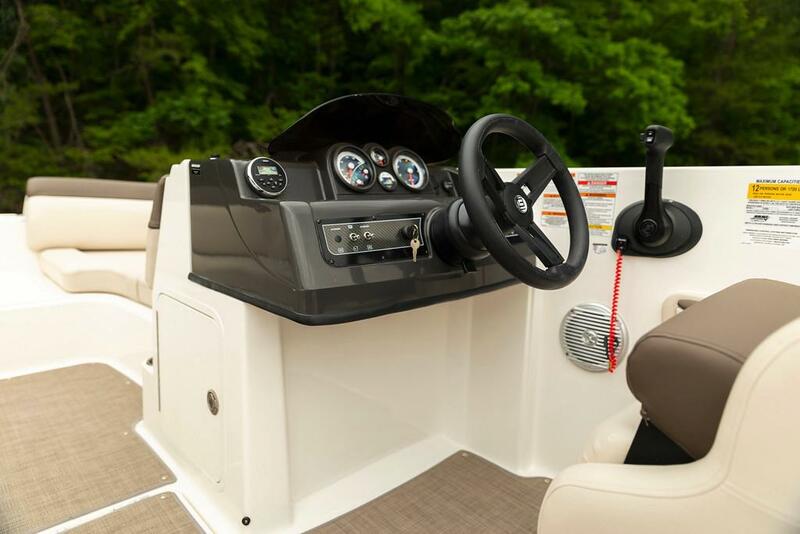 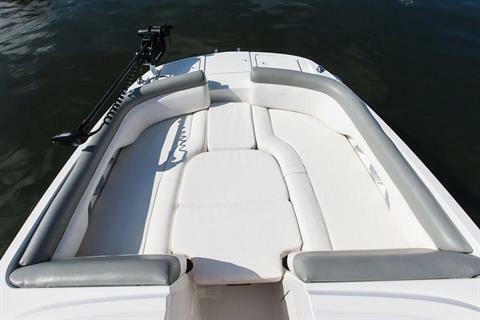 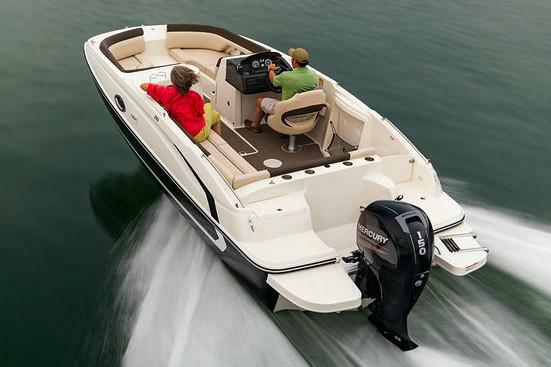 This outboard-powered 210 Deck Boat seats up to 12, thanks to L-shaped "pontoon-style" cockpit seating and a spacious bow. 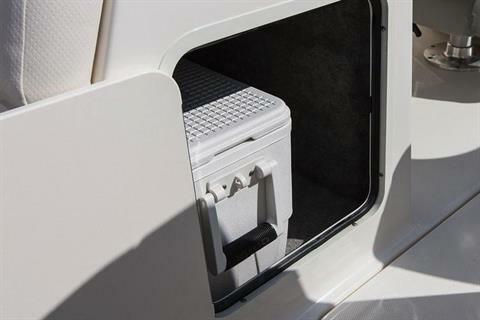 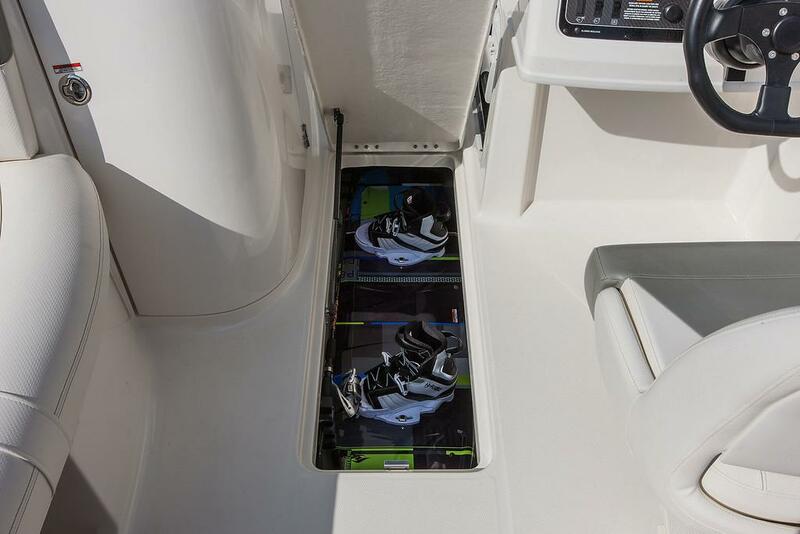 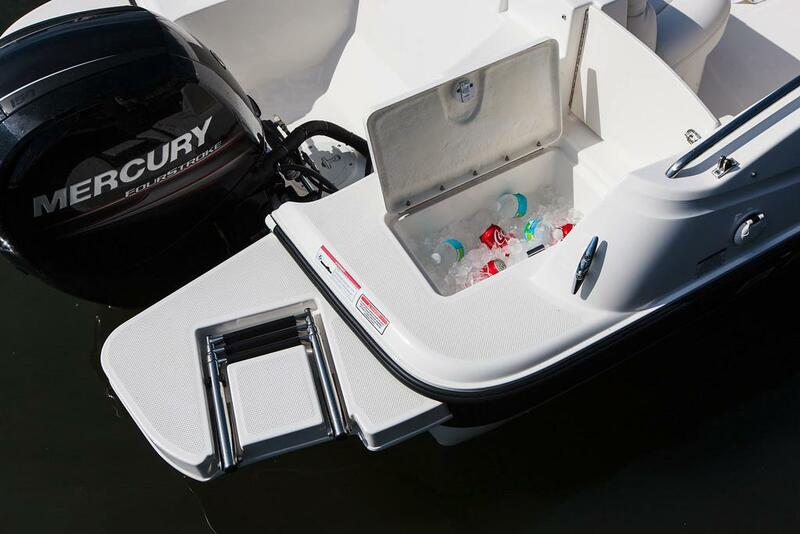 A roomy in-floor locker accommodates skis and water toys, while innovative under-seat storage (which can be partitioned based on your needs) stows the rest of your crew's gear. 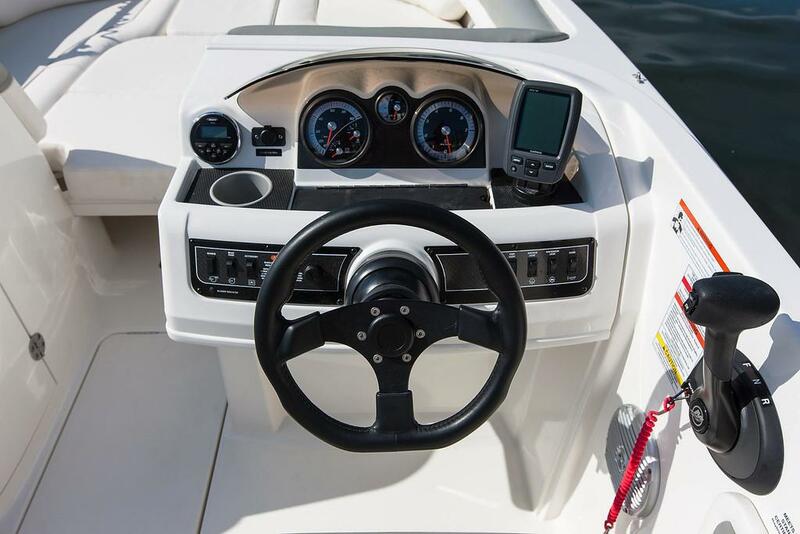 The sporty dash includes an easy-to-read gauge array. 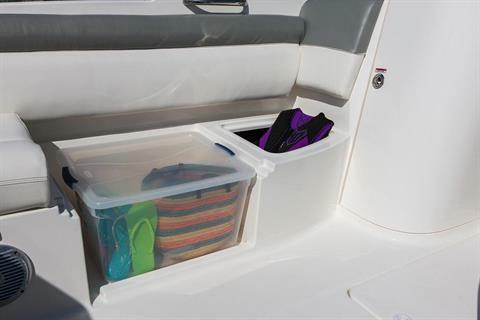 The port-side bulkhead doubles as storage and a private changing room or can be upgraded to be an optional enclosed head. 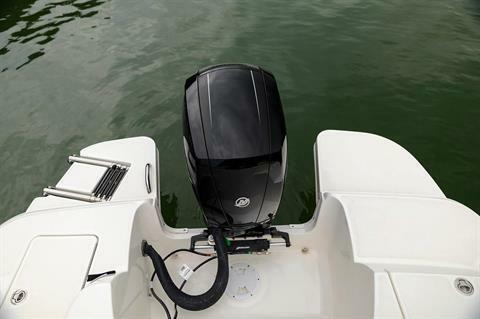 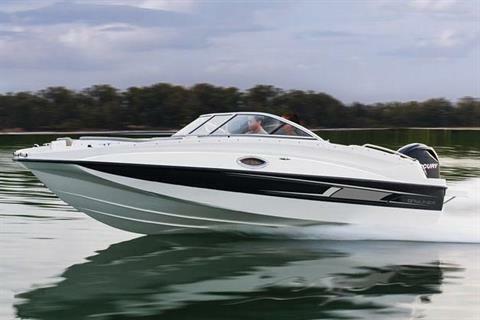 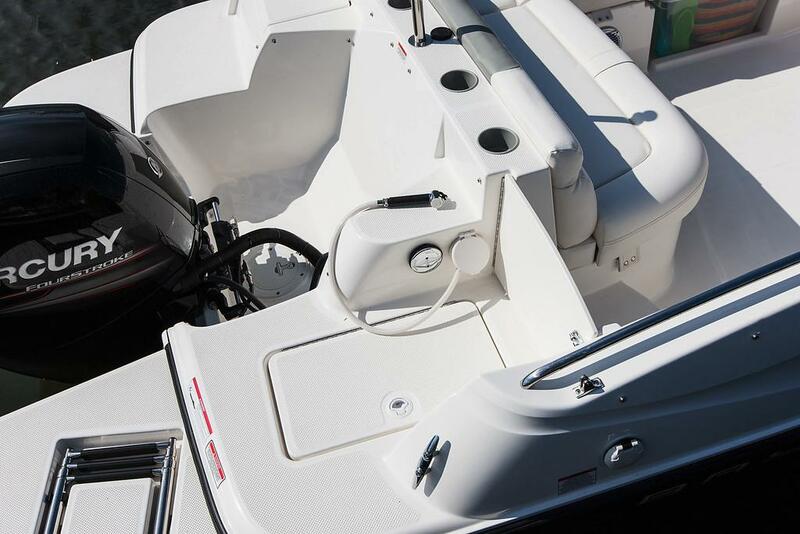 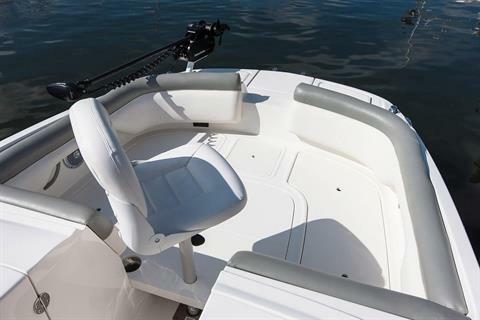 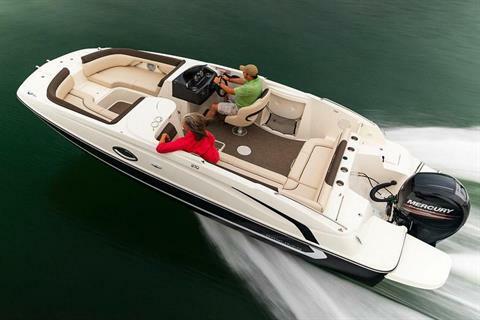 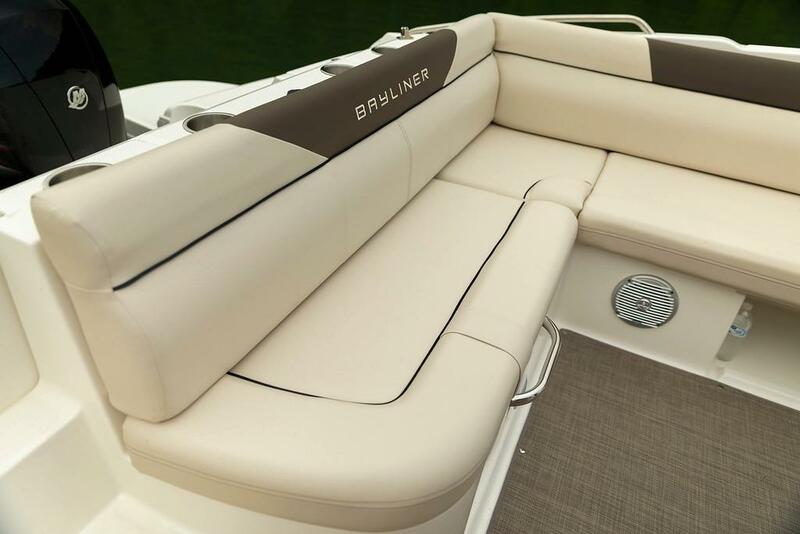 Plus, Bayliner’s specialized fishing and water sports options lets you have it your way. 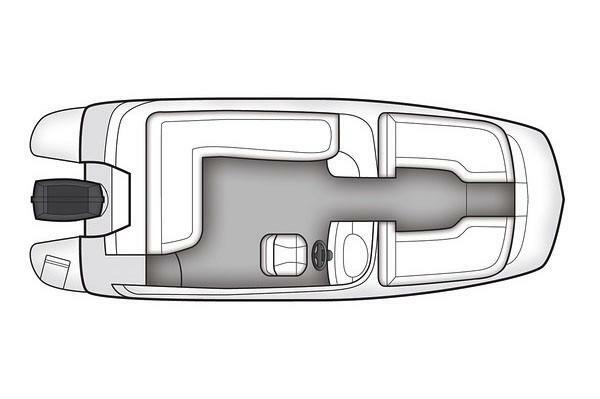 L-shaped cockpit with "pontoon-style" seating allows passengers to stretch their legs. 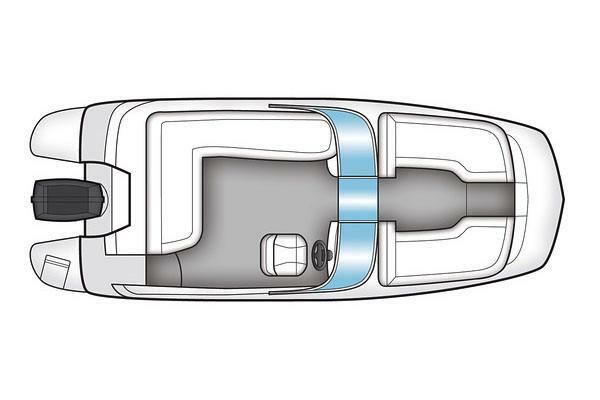 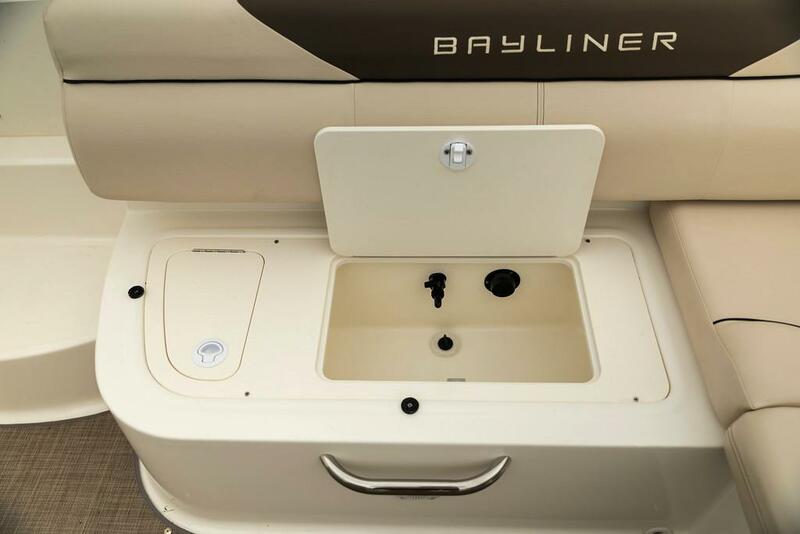 Bayliner's Flight Series or Fish Package option allows you to tailor your 210 Deck Boat to your family's needs.